I was really hesitant to do this blog post since I will be exposing my bare, flawed skin to all of you guys. I was supposed to do this last June 2012 but I only had enough courage now. I thought, some bloggers even post about their cosmetic surgery and their nose/breast argumentation and I thought not all people will undergo that treatment, right? 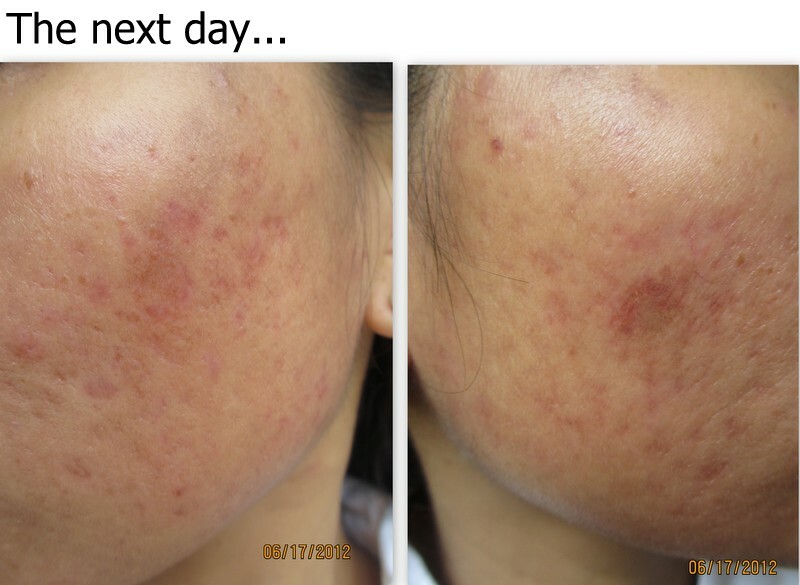 But, I am quite sure many people have suffered or are still suffering from acne breakout or severe acne scars. So, this entry is for the people who are suffering from acne or if you have friends or relatives who suffered the same situation, then maybe this can help them to learn how they can take care of their skin. Flawless has been with me in this battle against acne. I posted about the Flawless acne facial here and Flawless pimple injection here. 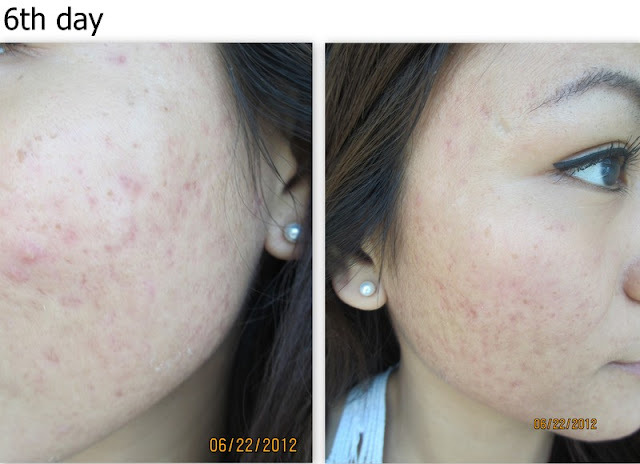 The last stage in achieving flawless skin is getting rid of scars brought about by acne breakout. You can use over the counter products or home made remedies if you want to treat acne scars. You could also just leave it and let time heal the scars, because it eventually will although you may have to wait a long time. Or, you could simply go to a Flawless clinic and ask about their chemical peels. Chemical Peels treat wrinkles caused by sun damage, aging and heredity factors; fine lines, particularly under the eyes and around the mouth; mild scarring and certain types of acne; pigmentation such as sun spots, age spots, liver spots, freckles, birth control pills-induced blotchiness; and dull skin that is in need of rejuvenation. The after-effect of the peel is skin that is perceptibly more elastic and firmer. Sun protection through sunscreens and sunblocks must be used in conjunction with the Peels to avoid the reappearance of lesions. This treatment I'm posting about is the EASY PEAL. "TCA stands for trichloroacetic acid and is a common agent used for chemical peeling, one type of facial resurfacing. It comes in varying concentrations, allowing for varying depths of peeling (depending on the concentration). 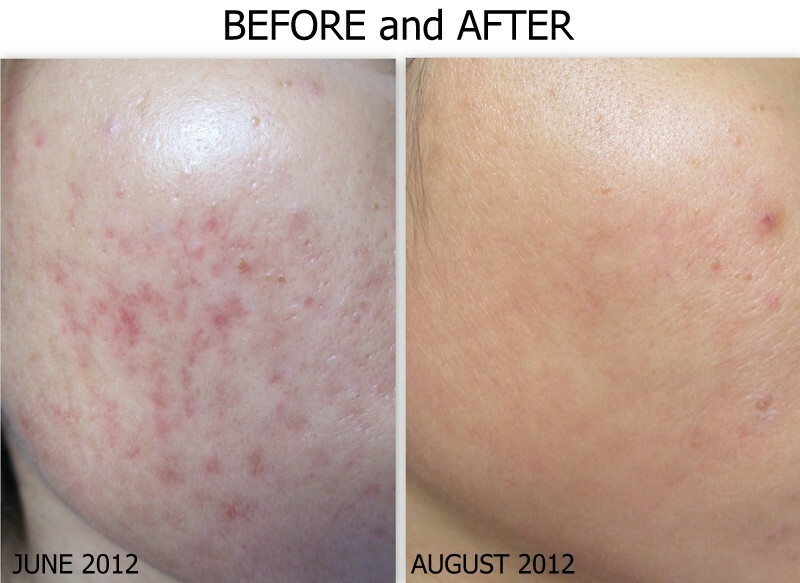 TCA peels can help treat pigmentation, discoloration, fine lines and aging grooves. A TCA peel should be done by a weel-trained physician(dermatologist,plastic surgeon) in their office. The downtime and recovery can range from a few days to several weeks, depending on the strnthg of the peel. A TCA peel is not appropriate for all skin types, nor is it the best treatment modality for certain types of facial rejuvenation. 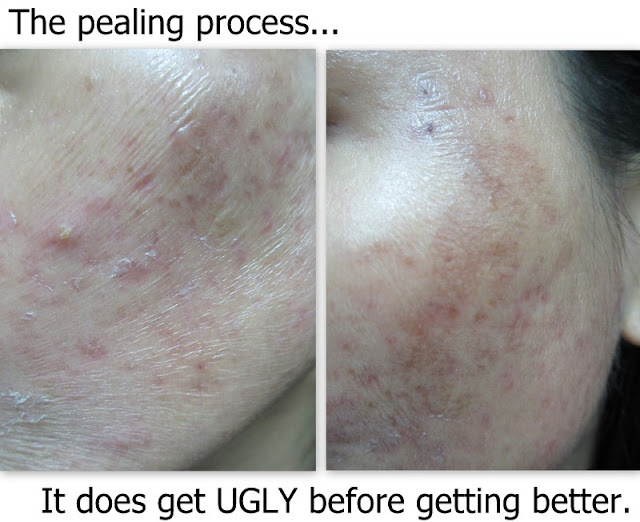 But a strong medium-depth TCA peel can give great results when done properly on the right patient." However, do not judge the treatment by its name. Just because the name is "easy" doesn't mean it is going to be easy. 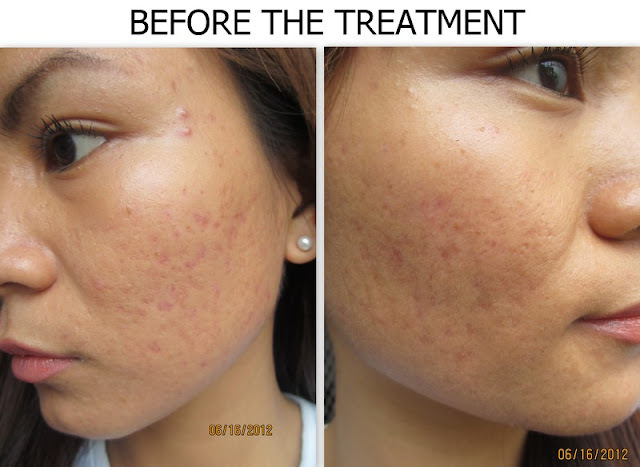 Before undergoing this treatment, I strongly urge you to consult the Flawless doctor first. They will advice you if the treatment is suited for you skin type. Also, the peel is one of the strongest peels Flawless offers. Please do not go expose yourself to sun while on the treatment and be sure to use high spf and umbrella and seriously stay under the shade. Please note the this treatment darkens the skin first and cause skin to "burn". It's normal and it is part of the healing process. So, remember not to set any important events or go swimming for at least 2 weeks while on the treatment. This is my skin before Easy Peel. I intentionally put dates in the photos to show you the transition of the skin. After extracting the pimples, it's now time for the pealing. This is done by their doctor so you can be sure that you are in safe hands. The doctor will keep on applying the TCA solution. This is the chemical that peels the outer layer of your skin. This will go on for about 5-10 minutes or until "frosting" of the chemical appears. Once the entire face has whitish surface due to the frosting of the chemical, the post peel cream will be applied. This cream consists of vitamin c, anti-oxidant and other stuff that aids in whitening and acts as a protective layer and also lessens the stingy feeling. And that's it! It only takes about 15-25 minutes. The doctor will advise you NOT to wash your face when you get home and just leave the chemical on your face over night. This will let the skin absorb it and will make the peeling more effective. You can wash your face when you wake up the next day. You will notice dark spots especially on the areas of the face with thinner skin. The skin will become really dry, it will remind you of drought and el nino. lol. On the third day, the areas of the face with really thin skin will start to peel. Yes, it does. But the ugliness will all be worth it and you will say hello to smoother skin. You can see that the skin appears "plastic-y" and lines appear when you try to stretch the skin. While your skin is peeling, NEVER FORGET to use SPF! The areas with thicker skin will start to peel off. You can see how light the skin beneath is compared to the skin on the outer layer. Expect skin flakes to get as big as this. 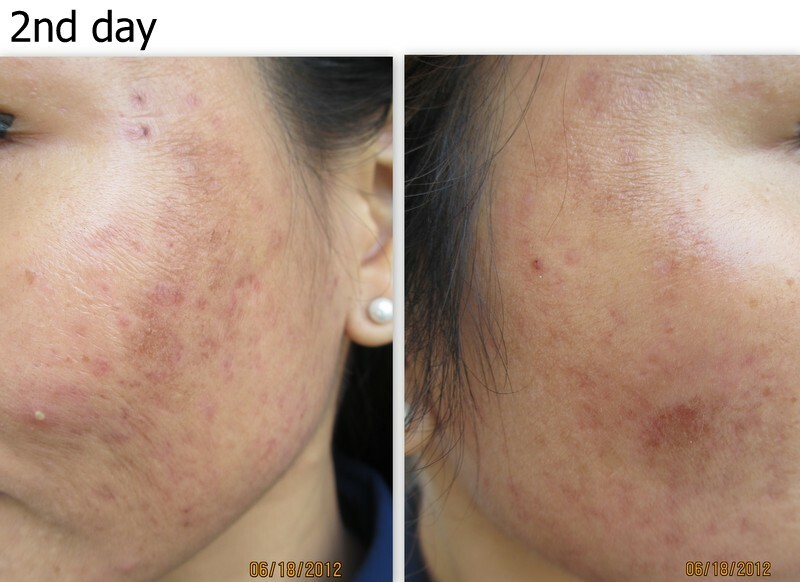 Say bye-bye to dead skin cells, pigmentation and scars! 90% of the outer layer already peeled off. You will notice that the skin is clearer and smoother. Peeling is almost gone however you will notice that the spots turned reddish. It's normal because your face just exposed a new skin layer. The redness will fade. After the first session in June, I went back to Flawless to have another session. You can not have this more than once a month. As for me, I wanted a long interval before having another treatment. I went to Flawless 2nd week of August. Here's a photo of my face before and after 2 sessions of Easy Peel. 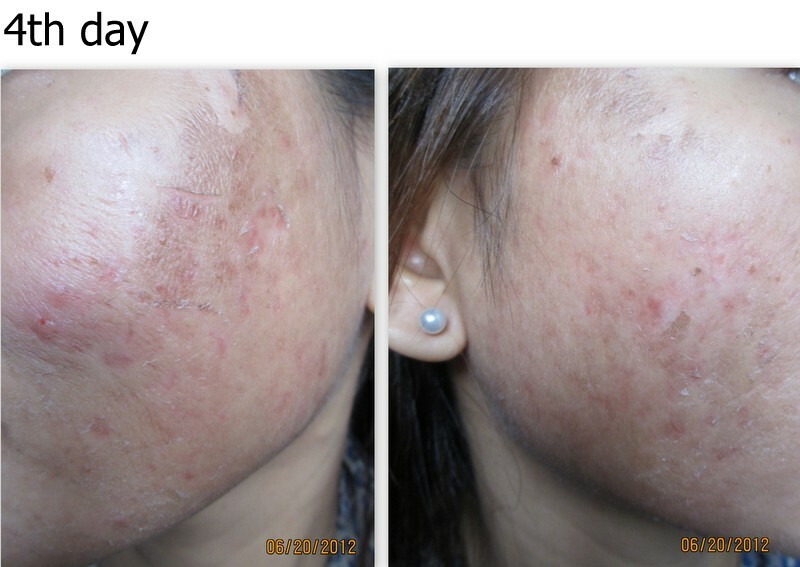 Left photo: before having the Easy Peel treatment. 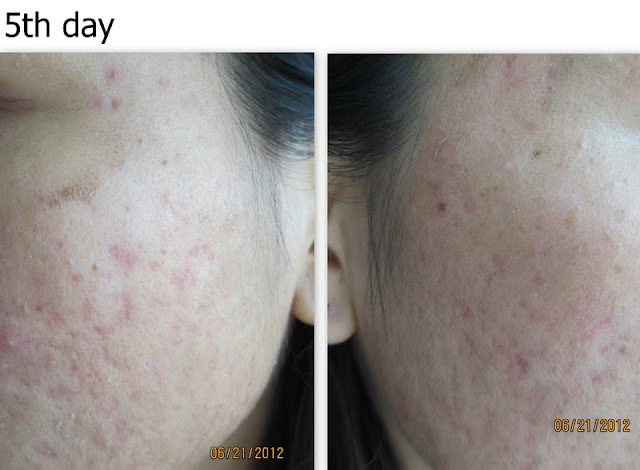 Right photo: After 2 sessions of Easy Peel. This is honestly one of my favorite Flawless facial treatments. 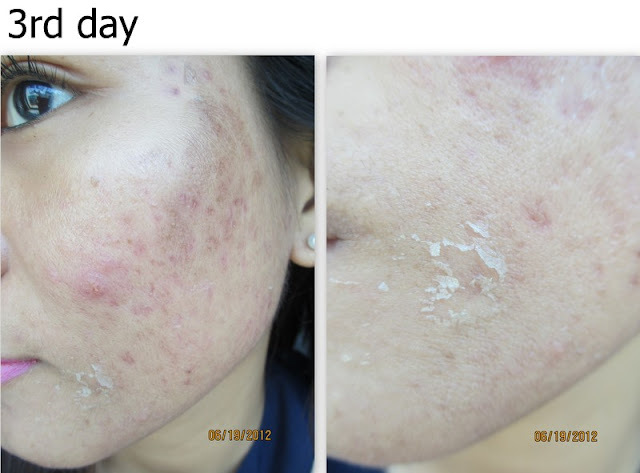 When my friends and relatives ask me how I got rid of my severe acne a couple of months ago, I tell them I had this treatment. Yes, it does get really ugly and your face turns dark and spots appear but it's better because you only have it for a couple of days. I guess it's better than having those really ugly scars for a longer period of time. It's really just about being committed and having to sacrifice small things for the better things.I recommend this treatment to people who have suffered from acne breakout and would like to have clear skin again. This is also good for people whose skin have aged or if you just want to have smoother and lighter skin. However, please bear in mind that what may have been effective on me may not be effective on you and may cause you to suffer side effects or bad outcome. Please consult your doctor first before proceeding with the peeling. Thanks to Flawless! Click here for more Flawless treatments and services.